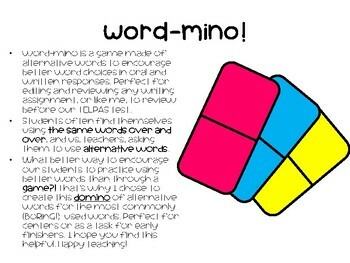 Word-mino is a game made of alternative words to encourage better word choices in oral and written responses. 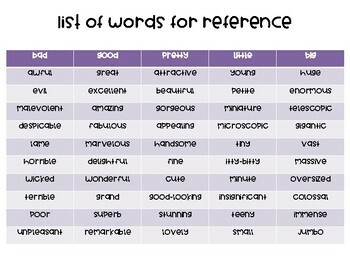 Perfect for editing and reviewing any writing assignment, or like me, to review before our TELPAS test. 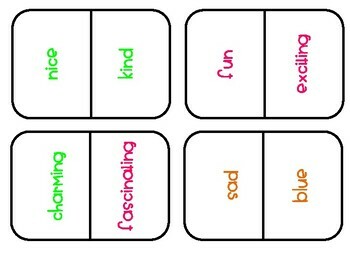 Students often find themselves using the same words over and over, and us, teachers, asking them to use alternative words. What better way to encourage our students to practice using better words than through a game?! 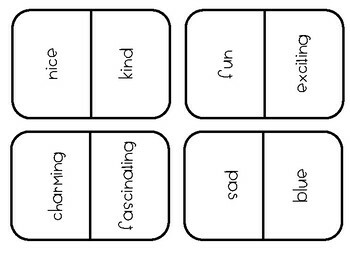 That’s why I chose to create this domino of alternative words for the most commonly (BoRinG!) used words. Perfect for centers or as a task for early finishers. I hope you find this helpful. Happy teaching!